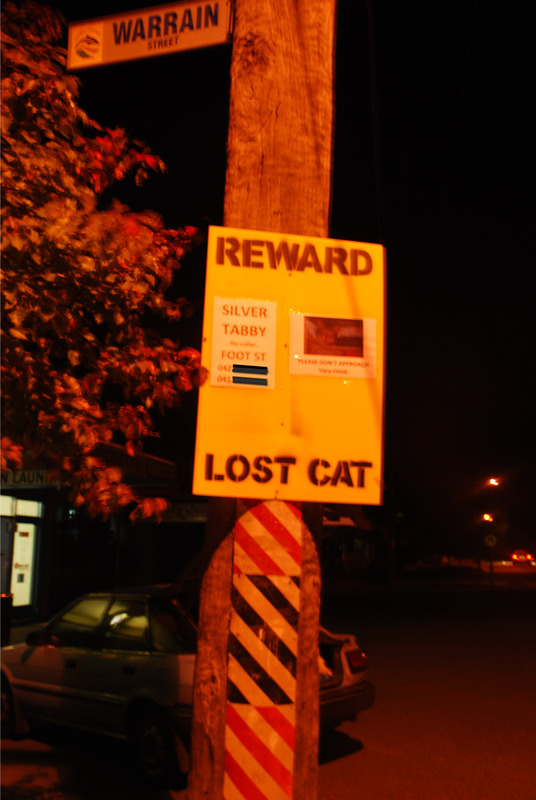 You’ll often see ‘lost animal’ A4 sheets on lamp posts as you drive by. How much information on the flier can you read as you whizz past? Probably not much; perhaps just ‘lost’. Do you drive back to read it? You’d be a rare person if you do. To get people’s attention, you need to use much larger, much more eye-catching signs. ‘Big signs’ can be useful in generating sightings, especially if you feel your cat has gone further afield. 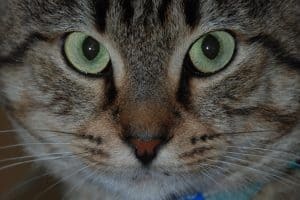 They are more effective for confident cats who tend to explore and be more visible to people. However, if you’ve started to run out of steam and need a break from searching, they may help – at least to keep your lost cat in people’s minds. The key to the ‘big signs’ is to use minimal words and a clear photo, so that people can read all of the information on the sign while driving, without slowing down. The Missing Animal Response Network describes it as 5+5+55 – people need to be able to read 5 words in 5 seconds while doing 55 miles per hour. Fluoro 600mm x 900mm cardboard or coreflute. We use yellow coreflute from a sign maker, but this can be hard to find. If you can only find white coreflute, buy some fluoro card from a stationery store and stick it to the coreflute. Buy 600 x 900mm sheets of coreflute, 5mm thick, from a signwriter. Bright yellow is ideal but can be hard to find. If you can’t find a bright colour, buy fluoro cardboard from a stationery store and tape it to the coreflute. In large letters, put ‘PLEASE HELP’ at the top and ‘LOST CAT’ at the bottom of the sheet. We make a stencil using a manila folder, then spray paint over it. Stick the A4 sheets onto the coreflute. 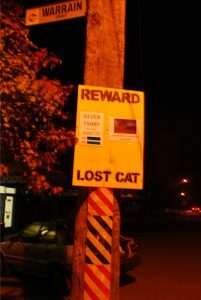 Place ~6 signs in the area where you believe your cat is, on high traffic roads, nailed to lamp posts or stuck to poles. *The Missing Animal Response Network now recommends using ‘PLEASE HELP!’ or ‘HELP FIND!’ rather than ‘REWARD’, as it engages the altruistic part of people’s brains more than ‘reward’ does. It also reduces the likelihood of you being contacted by scammers. The Missing Animal Response Network has more details on how to make these. A YouTube video explains this further. A second video demonstrates how to fix them to lamp posts so they stay up. We recommend using a ladder to put them up high so they’re out of reach of people – we have had some removed by vandals.